A free for all wild mix of comedy, relationship drama and thriller as Francis Ng's Wu Yuchuan tries to reverse his bad luck by going after the villains blocking his luck (among other things he twists his neck when sleeping, owes the triads money etc). Taking this literally and too far, prime target is his own wife (Liang Jing) who he suspects of cheating. Ideas put into his head and orchestrated by a respected, blind fortune teller (Liu Yi-Wei). Because Karmic Mahjong is such a mood piece, jumping freely between dry comedy to Wu going all out psycho, it's questionable whether it means anything but through an enjoyable visual energy, a very pronounced but engaged Francis Ng and latter reel acting comfort with Cherrie Ying (as someone with access to money but with bad luck involving having her son taken away), director Wang Guang-Li makes the 90 minutes of being pulled in every direction an enjoyable, unpredictable time that didn't need to play by any rules but its own apparently. Also with Paul Chun. Written and directed by Lu Chuan who follows up his frantic debut The Missing Gun in a completely different style and within its harsh shooting locale, Kekexili: Mountain Patrol is a grand, angry, disturbing yet calm experience. Showcasing one of many world problems now thankfully solved, it's still a harrowing portrait of emotionless greed and how the humane needs to fight the inhumane with questionable tools. Taking details from the actual article that arose great attention in China upon publishing in 1996, Lu Chuan is obviously preaching that there may very well have to exist hypocrisy in a good cause, as long as it's solved. With his incredibly immersing subtle outbursts, be it in violence or emotionally, it's a low-key, uplifting, dark piece that is easy to grasp, easy to sympathize with and easy to praise. Also a movie up for debate, Lu has not chosen a middle ground for his opinions, which could serve as a potential warning. Nonetheless, how ever much hardships the enemies in the film MAY have endured before going on a financially winning path, it still doesn't make the extermination of antelopes right. It seems to go far beyond a need and well into evil. The unknown actors do a marvelous job commanding their particular part of the frame, especially Duo Bujie and the eerie old man played by Ma Zhanlin. A surprise winner at the Taiwan Golden Horse Awards (Mainland Chinese films rarely gets the top honors), the film was handed the Best Picture and Best Cinematography statuettes. The few members of a gym go to onto the underground boxing circuit and this is where Li Feng (Moon Lee) sees her brother getting killed in the ring. She swears to take revenge against his opponent Billy (Billy Chow) and begins training hard with assistance from Rocky (Mark Cheng), Quy (Gabriel Wong) and a thief (Wilson Lam). Matters gets increasingly deadlier with head of the underground boxing matches Mr. Wong (Jimmy Lung) with his wife (Yukari Oshima) by his side. 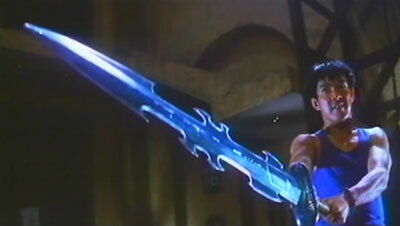 A flawed piece of action entertainment shot on a small scale and big in the melodrama department. But it's the show of the action enablers this, especially for the grace Moon Lee brings to the action. Flowing expectedly well into the grittier fights, it all culminates in a violent gunplay ending vs Jimmy Lung and henchmen where cast and stuntmen again on a small scale, probably underpaid, suffer in the name of vintage Hong Kong action entertainment. During a time when IFD had no Godfrey Ho or Richard Harrison in their stable anymore but kept on making cut and paste action movies, the turn had come to kickboxing templates and that's where the largely confusing and muddled Kickboxer The Champion resides. 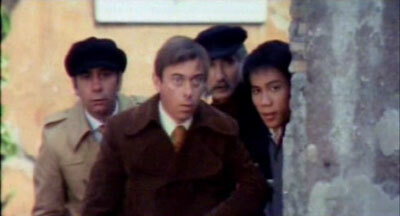 Using not one but TWO source movies combined with their footage starring Wayne Archer, one is their own 1979 production The Magnificent (produced by Joseph Lai and Tomas Tang when they were still in business together as Asso Asia) and the second is 1974's The Left Hand Of Death out of Taiwan. Both period efforts, with the 1979 movie set in 1911 and while IFD attempts to make their footage partly a good fit on that note, largely it is not and through hair cuts, costumes and dialogue, it all comes off as 1991 and 1911 in the same movie. Which is incredibly lazy and would've been more fun had the overall impact of the production been any clearer but the longer it runs, it simply comes off as random footage glued together. Plus points for the Ridley Tsui directed action choreography and Wayne Archer really shines in these brief but high quality scenes. Yuen Biao's only directed movie takes the fish out of water element from Iceman Cometh (where he also acted against Yuen Wah) and makes it the best thing about A Kid From Tibet. Playing a Tibetan monk with magic powers and having him go to Hong Kong is a good showcase for the star's boyish charms but the rest of the film doesn't fare as well. Yuen sadly seems content with letting the cheap sights and gags dominate and action fans may find this to be an endurance test because of it. Despite being infrequent, when the action does enter the frey, there's fair, sometimes cheesy, enjoyment on offer. The single best set piece is clearly the second, where the monk takes on Yuen Wah's henchmen and another plus is the well captured Tibetan settings seen in the opening 20 minutes of the film. The Winner's workshop dvd looks quite terrible and is out of print currently. However World Video's release in America (a straight port most likely) is still available. Ng See Yuen went to Rome, took with him Bruce Leung and a very young Mang Hoi and the result was this largely forgettable but still slightly entertaining modern day martial arts picture. The slight enjoyment surprisingly does not come from the action but from the three inept Westerner detectives that hires the help of Leung's character to help solve the kidnapping case the title refers to. It's all very broad so called comedy but it's charming to a small degree. Ng See Yuen's direction otherwise is amateurish and Bruce Leung's action doesn't set the screen on fire exactly. He himself has some very fine moves, as well as young Mang Hoi, but fighting against the sluggish Westerners (with timing below standard) does not make for very compelling choreography. 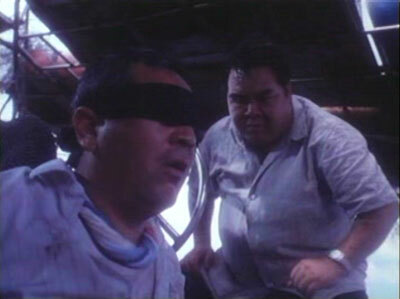 Based on the same true life kidnapping case that Crime Story portrayed, this Wong Jing scripted production appeared in theatres merely a month after, and starred Kent Cheng once more in a variation of his nominated role in the mentioned Kirk Wong film. This time the filmmakers sets up the kidnap victim Wong Chak Fei (Paul Chun) as a much more sinister man who drives cop Ching (Cheng) to the edge of crime. 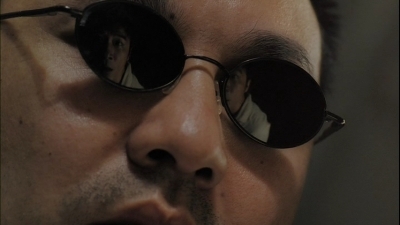 The film might've served as an interesting comparison piece and social commentary, especially since the final events seem to correspond slightly more to the sad outcome of the real crime (unless the Chinese only text coda says something different) but director Ko Sin Ming can't do anything but to put the audience to sleep. When the only memorable moments are Wong Jing's sophomoric humour sections (the scenes that surely elevated the rating to a Cat III), any movie should feel doomed. A solid cast, that also includes Francis Ng and Cheng Pei Pei, also can't put forth anything but throwaway acting. For half of its duration, this Taiwanese kidnapping drama is awfully talky and mundane, only to better itself in the second half as the questions of mending rips in relationships in the face of tragedy inevitably enters. The best strengths shown by director Ke Yi Zheng is in the portrayal of the kidnapped kids and how they maintain and heightens their united power against opposing forces, leading to fair tension but also a sweet and telling ending for a movie that takes quite a while to warm up. Sylvia Chang and Eddie Chan stars.